It was a 6-rotor cargo drone. A video of the drone rigged with explosives targeting Venezuelan President Nicolas Maduro Saturday has been uploaded online. The video shows a six-rotor drone hovering in the air briefly before bursting in a fiery explosion. President Maduro's speech can be heard in the background. 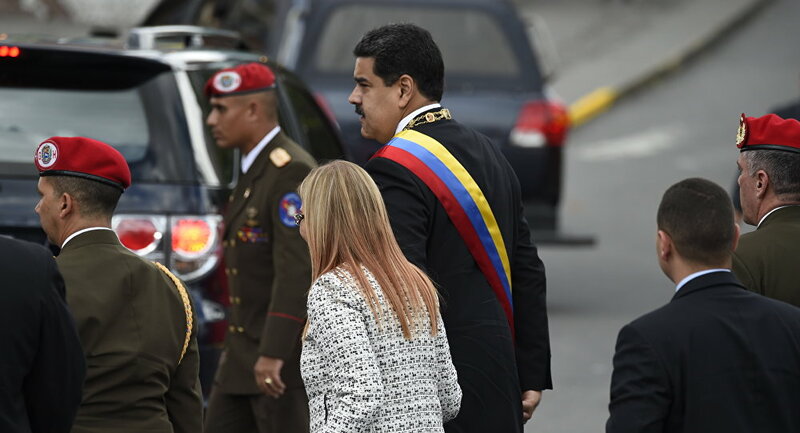 The incident took place Saturday as Maduro was giving a speech during a National Guard parade in Caracas. Six people have been arrested on charges of "terrorism and assassination" in connection with the matter. The attack has been blamed on "ultra-right wing" opponents inside the country as well as Colombian President Juan Manuel Santos, a claim that has been refuted by Colombia's Foreign Ministry.